It’s me, Sam. In this column, I uncover the secret (and not so secret) things to do while you’re in Los Angeles, California, home to Lakers, Clippers, and generally the most perfect weather you’d come to enjoy in the Northern Hemisphere. It’ll be an exposé of the things one would do in California if one visits. Think of Thoughtcatalog’s or Buzzfeed’s 30 Things to do in California, albeit in a more quirky and Singaporean style. Let’s take a dive into the rabbit hole, shall we? City of Manhattan Beach, Los Angeles, Calif. At an ever-present temperature of 24 degrees celcius (or about 75 degrees farenheit to the Californian natives), Manhattan Beach is one of the many beaches that sits along the Pacific coast. The motto of “Sun, Sand, Sea” is a clear description of what one would expect when one visits the lovely city. According to trusted local sources (as well as the unfailing Wikipedia), Manhattan Beach is home to celebrities and professional atheletes. The upscale community contains some of the most expensive real estate in California, and it is known to be one of the best places to retire at. 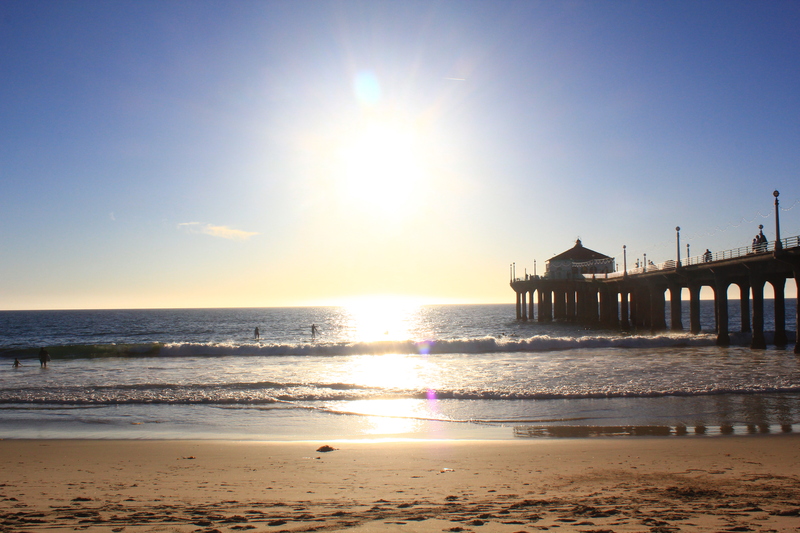 Home to more than a dozen beach volleyball courts, and a large stretch of sky-blue waters, Manhattan Beach is definitely a place to spend a day to chill at. Even though it does not have the prestige of the 90210 area code, it ranks as one of the most under-visited places for non Californians.